Good day, All. I would like to encourage everyone today to show love and respect for others regardless of how we think or feel. If someone is in need and you’re in a position to help them – if only a little – then please do so as your act of charity and compassion can dramatically affect a person’s life. Furthermore, when you help people, you are also being kind to God. I read a note from a lady today who stated that she has decided to live her life WITHOUT Christians in it. I do not know this lady, but this is very disheartening. She expressed that she is “scarred for life” by those who profess the Faith because many do not seem to genuinely love and care about other people. They can see someone in need and simply turn a blind eye to that person’s plight. This is not what Jesus exemplified for us. Selfish living is damaging to the church and we must examine ourselves and realize that instead of just talking the talk, we must walk the walk. I am not encouraging being a doormat for people who just want to ‘use’ you and no matter what you do for them, it’s never good enough: I know people like that. If the Holy Spirit truly lives inside of you, you will know who has a sincere need and if you are able to help. He will lead and guide you. The key is to not ignore the instructions of The Holy Spirit. If we want to be with The Lord when we close our eyes to this earth, all of this surface stuff of just going to church and saying ‘Lord, Lord’ every so often will not be the means of getting there. I assure you, being “religious” will not do it; we had better be deep and our walk with God had better be real. Each one of us are on a special journey. This life is made up of so many roads, mountains, twists, turns, barriers, obstacles, and if we maneuver correctly, we will ultimately arrive at our intended destination. When we see an obstacle in the road of life, if we just keep standing behind it, will it move? Absolutely not! We must apply some form of pressure to somehow get it out of our way so that we can continue travelling onward. Sometimes though, the obstacles are too big and we cannot push them alone. We need help. If you feel you are facing an obstacle today and perhaps, you looked at this issue for months or even years, I want you to know that you have what it takes to clear the road. You may not feel strong, but What lives inside of you has more power than you can imagine. It’s that all-powerful Force within that can not only remove the obstacle, but can also crush it into a million pieces so that that particular obstacle will not form again. 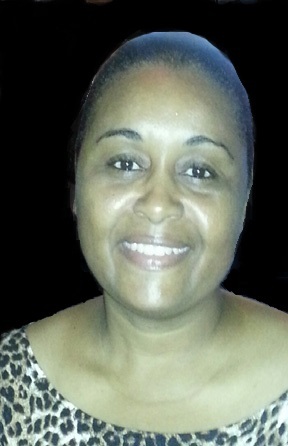 Learn what it takes to successfully and victoriously maneuver throughout this journey. This will inspire even those who cannot see a flicker of hope left. http://www.amazon.com/dp/B00IT2GIOS. Why Are We Fighting Against Each Other? What I’m about to write here today is something that I believe all of us, as Christians, need to hear. God is truly disappointed in the way that we have failed to unite as a single body. When I was growing up, my father was Catholic and my mother was Methodist – they still are. We never attended the Catholic church to my recollection as my mother’s church was where we often went. My father was not really a church-goer although He believed in God. Although I attended the Methodist church while young, my siblings and I were christened in the Catholic church. However, when I became an adult, I went under the ‘non-denominational umbrella’ as I didn’t like the thought of being separated by denomination. 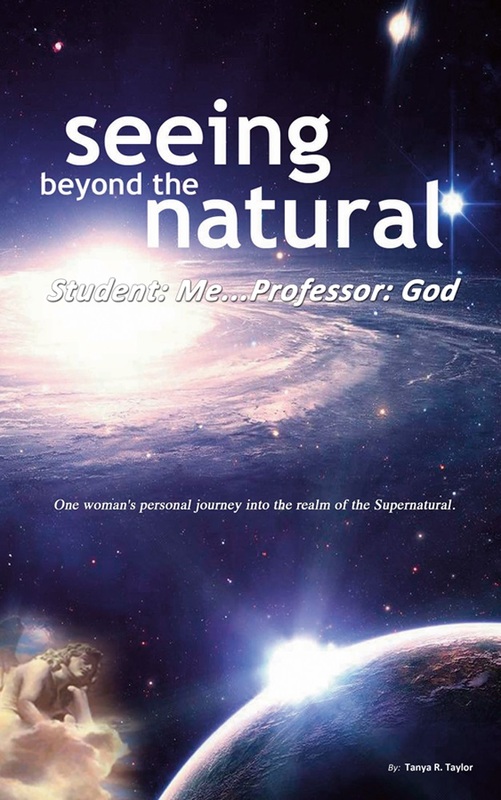 Now twenty years later, after going under that non-denominational umbrella, I was recently instructed by God to document certain things in a book entitled, Seeing Beyond the Natural, Student: Me … Professor: God. I would say that some things recorded in that book would not sit well with many ‘churchy’ – people who are led by ‘religion’ instead of by The Holy Spirit. Although, I am not Catholic, I was given a real-life revelation concerning purgatory or what one might call “The Mysterious Realm”. This is by no means what the book is about. Rather, it documents wonderful testimonies of miraculous healings, supernatural experiences, victories and insight that would inspire anyone whose heart is truly turned towards God – in spite of denominational boundaries. However, I realize that it may be classified in the minds of some as ‘controversial’. I would think that some die-hard supporters of certain denominations would not be happy with my findings pertaining to purgatory or whatever one might want to call it and therefore, not want to accept what God has clearly shown me as truth. I anticipate that certain pastors might want to keep this literature from the grasp of their congregation mainly because if the truth be told, it would knock down the walls of denomination and they would have to face the fact that what they have been teaching may not be the whole truth when it comes to spiritual matters and they may feel as if another denomination will be highlighted as being correct to a certain degree. Thus… the separation I mentioned at the first part of this blog. In spite of all the different denominations, we must know that Jesus never intended for us to be at odds with one another thinking that we have all the answers thereby putting on an air of arrogance toward everyone else. If we call ourselves Christians, we should always want to support each other in the work of our Lord putting aside mere traditions for the time being. It is reported that Padre Pio once said that Jesus appeared to Him and said that “My house has become a theatre of plays…”. Obviously fighting against each other and separating the body of Christ by denominations and tradition is not the way Christianity at its core truly is. What I have found over the years is that unfortunately, many pastors have ‘brain-washed’ people into believing that because they are of a particular denomination, they should not associate with others of a different denomination or even visit their church. The body of Christ has become too ‘churchy’ and full of tradition and theatrical plays that the average church-goer tends to be more into their pastor and the ‘idea of church’ than yearning and desiring a real meaningful relationship with God. Even before going to Calvary and giving His life for all of us to be saved, Jesus knew that there would be many leading His flock who would deceive His flock. People, I encourage you to get to know God for yourself. Sure, go to church, show your pastor honor and the utmost respect as he is your spiritual leader. However, you must bear in mind that your salvation is not totally dependent upon him by any means. He, too, is human and is inclined to make mistakes and sometimes he may teach simply what he has been taught by tradition, but your responsibility is to study the Bible and seek God for yourself because on that day when you have breathed your last breath, your pastor or spiritual leader will not be the judge of your soul. Neither do they have a heaven or hell to put you in. He will also have to answer for himself and if he didn’t get it right or deliberately misled you as part of the flock, he will be judged for that. You will be judged for the fact that you had the knowledge, which is the Word of God there for you to explore and study for the enrichment of your own soul and God was always available to you in prayer for guidance, among other things. You will not be able to cast blame on anyone that may have misled you particularly when you had the knowledge to search the truth for yourself. The Holy Spirit takes residence inside all that are saved. The anointing power of God intensifies within us and through us the more we desire to know Him intimately – apart from our attending church and partaking in traditional ceremonies. When we can sit alone and yearn for God to direct us and draw nearer to us, we are being connected to Him in a deeper way. True lovers of God are not religious people. They are people who have a real relationship with God in a way that causes them to stand out from the crowd. People can sense when there is a strong anointing upon someone’s life – both saved and unsaved people can sense it. They may not always be able to put their finger on exactly what they’re sensing but they know that there’s something about that person that is remarkably different and in a good way. This is what we all should aim for as Christians – to truly be a light unto the world. How can we be that way if we constantly fight against each other and fail to support one another in the advancement of the kingdom? God is not pleased by this and whether we want to believe it or not, the fire in hell burns much hotter for those that profess Christianity and totally rejected the Ways, the Awesomeness and Reality of God – than those who never professed it. I pray that those of us who are guilty of playing with God would take a long, hard look at ourselves. Examine our hearts and our motives and get it right in the sight of God. None of us are perfect – we all make mistakes, but God is looking at our hearts. He will judge us by the state of our hearts. I pray that we will unify as followers of Christ and make Him our top priority – above all others. All denominations should recognize that we are all one body – no single denomination has it completely right. Therefore, we should be willing to communicate with one another in order to learn from one another. The Holy Spirit, if He is truly within that person, will guide him in the truth. He will not be persuaded by mother, father, pastor, deacon, or tradition – he will be persuaded by the Holy Spirit. The separation within the body of Christ merely because of tradition benefits the kingdom of darkness more than it does the Kingdom of Heaven. God is not pleased. You, Too, Can Walk In The Realm of The Supernatural! Change Your Mind, Change Your Perspective … Change Your Life! Many people today are having such a hard time just getting through the day. Waking up for some in the morning seems like more of a task than a blessing. For others, waking up in the middle of the night worrying about finances and other issues is something that happens to them quite regularly. Life is full of challenges and sometimes, you just don’t know what to do or how you’re going to make it. Unfortunately, many have gotten so frustrated and burdened that they felt they just couldn’t take another moment of this existence and decided to end it. I know what it’s like to be at my wits end. I know what it’s like to feel like just ‘giving up’. I remember those days very well and because I’ve had days like that, my heart is filled with compassion for persons struggling with those debilitating situations and thoughts. I want to let everyone know that there is hope. Tomorrow will come and things will get better. That troubling, seemingly insurmountable circumstance is subject to change. What you deliberately convince yourself of is what will either turn the tide or keep you in that particular state. You can pull yourself out of it. Just know that you have what it takes to do the work that is needed to be done. If only you can see yourself the way your Creator sees you and not how others perceive you or even you, yourself at this point in time, your life will conform to that belief. I hope I have encouraged you today. With love, there is sacrifice. Without sacrifice, there is no love. From time to time, our display of love requires some form of sacrifice. Our willingness to do so reveals the sincerity of our love.